Pulp, Pete McKee and Bands F.C., which combines music and football teams to create unique artwork, have collaborated to produce a retro Sheffield Wednesday shirt. Bands F.C. launched earlier this year after Nick Fraser and Mark Liptrott came up with the concept of combining bands and football crests. 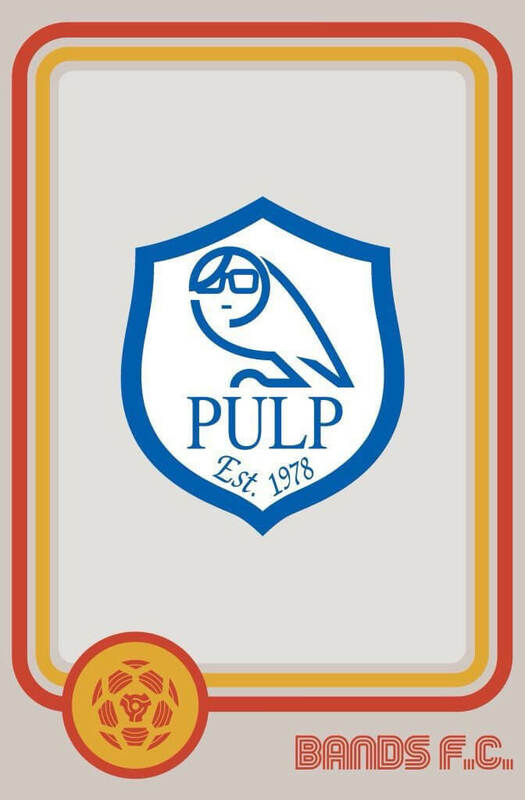 One of their most popular creations, the Pulp-inspired Wednesday badge (featuring Jarvis’ glasses on the owl) was even added to a shirt to form part of an exhibition at the National Football Museum. The shirt, which features one of Pete McKee’s pieces of art on the swing-tag, has been put on sale today (1 November) with all proceeds going to the Children’s Hospital Charity. Wednesday fan Pete said: “Everything clicked – I’ve worked with Nick on a few projects before, I love Pulp and I love Wednesday. It was a great fit. Priced at £50, all profits from the sale of the shirt go to Sheffield Children’s Hospital. The shirts are on sale today only, you can buy one here. You can donate to the Children’s Hospital Charity here.